2+2 talks: Will Iranian oil import, Russian defence purchase be discussed? The 2+2 dialogue mechanism was announced after Prime Minister Narendra Modi's visit to the US in June last year. Key trade and defence issues, including India's proposed purchase of S-400 defence system from Russia and oil imports from Iran against the backdrop of sanctions on these countries, are expected to be at the centre of strategic talks between India and the US on Thursday. Secretary of State Mike Pompeo and Defence Secretary Jim Mattis will also discuss cooperation in the Indo-Pacific region and a pact on encrypted defence technologies with their Indian counterparts Sushma Swaraj and Nirmala Sitharaman when the four meet for the inaugural 2+2 dialogue - first scheduled in April and then in June and postponed on both occasions. Informed sources said that among the issues to figure prominently in the talks would be India's plan to buy five Russian-made S-400 Triumf advanced air defence systems despite US sanctions against Moscow. The Rs 400 billion deal is almost ready. Since the US has banned the import of Iranian oil, the sources said, New Delhi will seek a waiver from Washington and let it continue buy the crude from India's third-largest oil supplier after Iraq and Saudi Arabia. The sanctions on the import of Iranian petroleum products will be effective from November 4. Cooperation in the Indo-Pacific region and counter-terrorism efforts will also figure among a host of issues in New Delhi's biggest diplomatic engagement with Washington this year. The US desperately wants India to take a lead role in the strategic Indo-Pacific region to keep China in check as Beijing has expanded its military presence after securing a Sri Lankan port on a long-term lease. The 2+2 dialogue mechanism was announced after Prime Minister Narendra Modi's visit to the US in June last year. This replaces the earlier strategic and commercial dialogue and is set to become an annual affair. 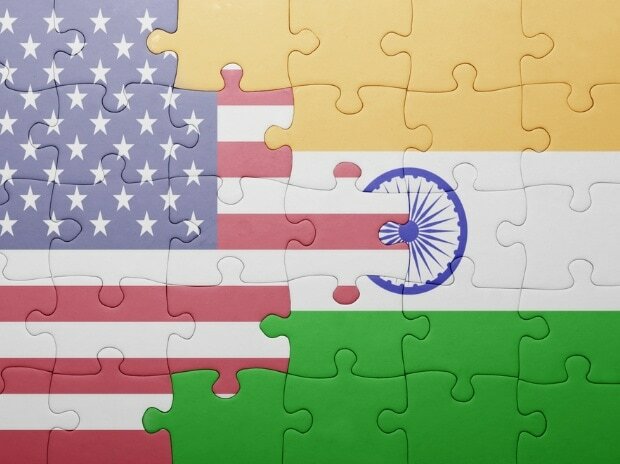 Despite defence ties touted as a key pillar of bilateral relations after the US designated India as a Major Defence Partner in 2016, the two countries have signed only one of three foundational agreements needed for interoperability with the US. The only inked agreement is the Logistics Exchange Memorandum of Agreement in 2016. But the Communications Compatibility and Security Agreement (COMCASA) and the Basic Exchange and Cooperation Agreement are pending. According to the sources, COMCASA, providing for obtaining critical and encrypted defence technologies by the Indian military from the US, will be discussed but a final agreement is unlikely at this juncture. "Defence innovation is important for us," a source said. The Trump administration's Countering America's Adversaries Through Sanctions Act (CAATSA) coming into effect in January 2018 has dogged the ties between the two countries as India's defence deals with other countries have come under the US scanner. CAATSA also targets countries doing business with Russian, Iranian and North Korean defence companies. With India being a major defence partner of Russia, it has become a matter of concern. Secretary Pompeo said in Washington that such issues would be "part of the conversation" between the two sides "but I do not think they will be the primary focus of what we are trying to accomplish here".